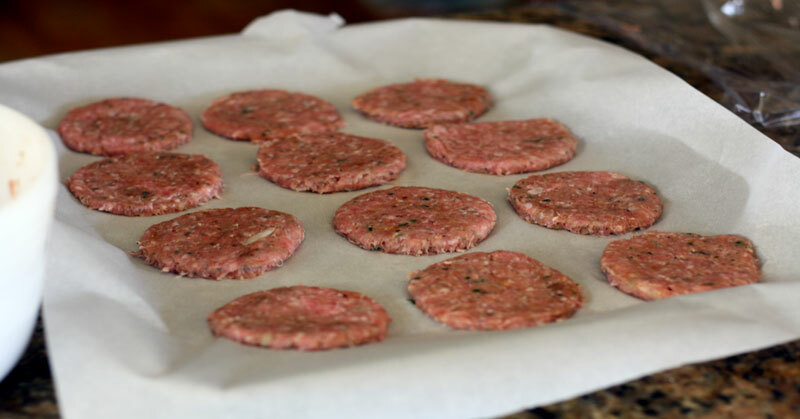 Easy Homemade Sausage Patties Recipe - Freezer Friendly too! I recently started making my own Homemade Sausage Patties recipe and they are the bomb-diggity! They have no mystery ingredients like MSG, high fructose corn syrup, and sodium nitrate, among other weird ingredients I have no idea what they are. They taste good, and I mean good! My kids even gobbled them up with no complaints – and that’s saying something. 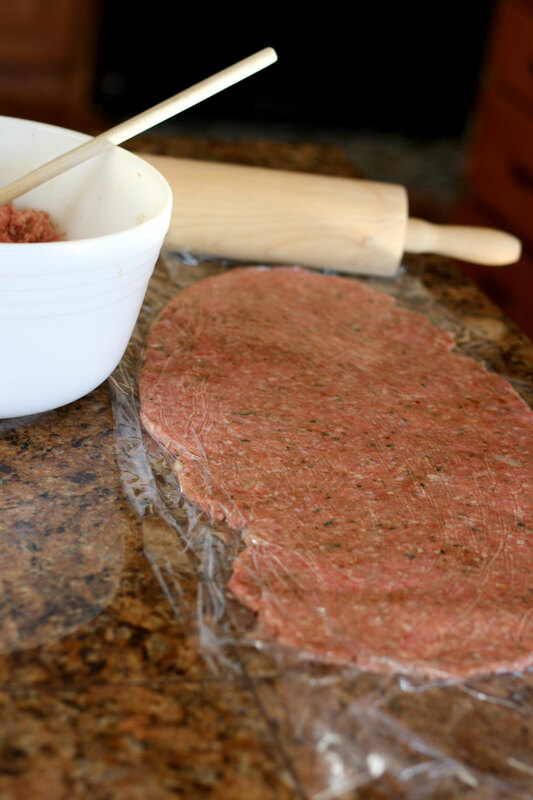 This homemade sausage patties recipe is one that I can make ahead of time and freeze, making it another freezer meals recipe to make my mornings easier and less stressful. 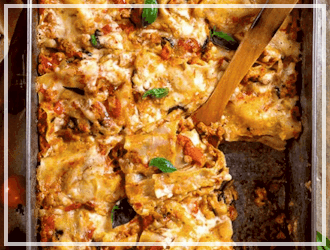 Below is the recipe, I hope you enjoy it! 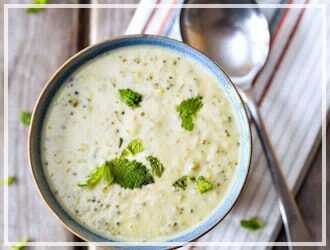 1/3 cup pureed or finely chopped onion (puree or chop first in blender or food processor). 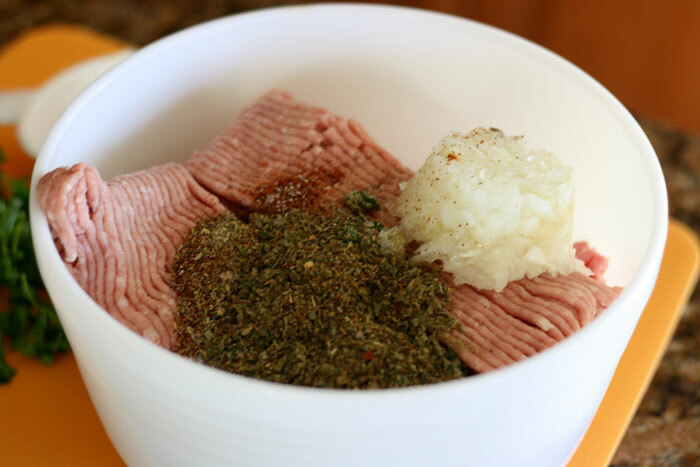 To begin making this homemade sausage patties recipe you need to combine all the seasonings in a bowl and mix until well blended. 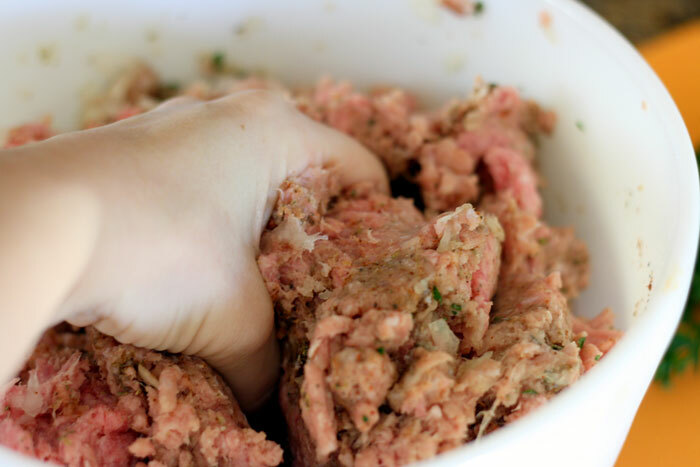 Add in ground meat and onion, using your hands to combine thoroughly. 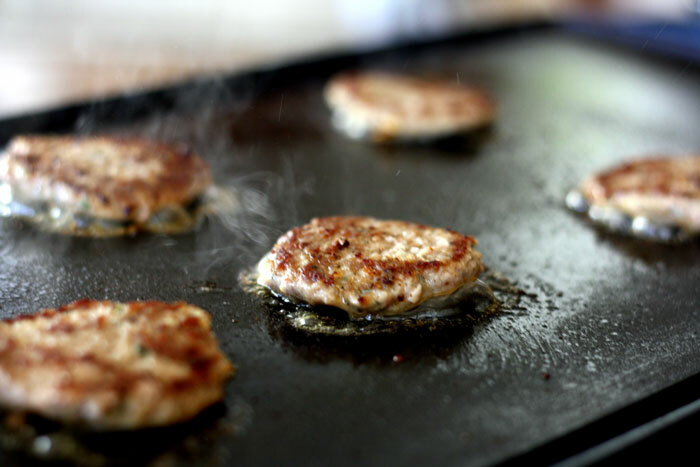 If cooking your homemade sausage patties recipe right away, shape into patties and cook over med-high heat on heavy skillet or griddle sprayed lightly with oil. Cook until nice and brown and no longer pink in the middle, a few minutes on each side. Oh wait..what was I saying? 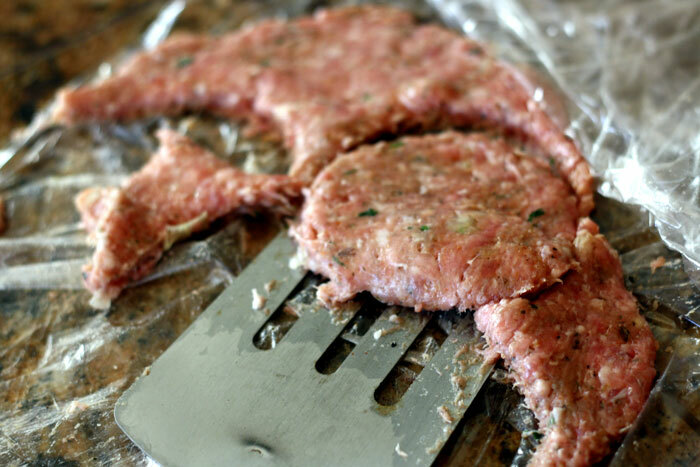 Sorry this picture is making me drool and want to make and eat some more of this homemade sausage patties recipe. Okay back to the recipe… sorry about that. I get distracted easily. To shape patties you can either use your hands or do what I did. 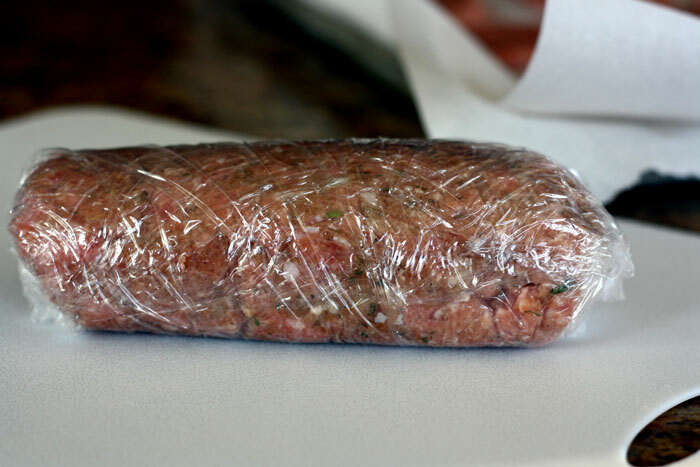 Take some meat and place between two layers of plastic wrap. With a rolling pin roll out meat to desired thickness. Remove top layer of plastic wrap. 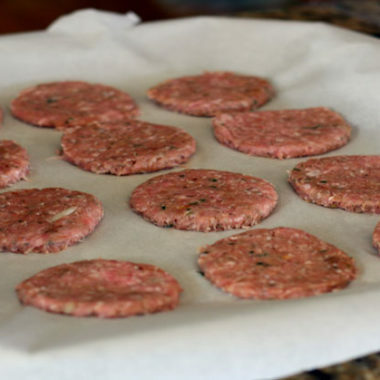 Take a round cookie cutter or top of a drinking glass, and press down to cut out nice round sausage patties. Transfer to hot griddle to cook or baking sheet to be frozen. Shape and roll mixture into two logs about six inches long. 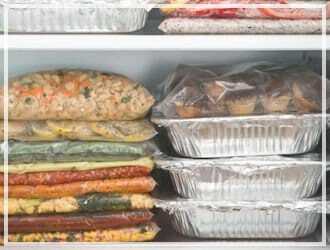 Wrap in plastic wrap and freeze. To use, thaw and slice into patties with knife, then cook. 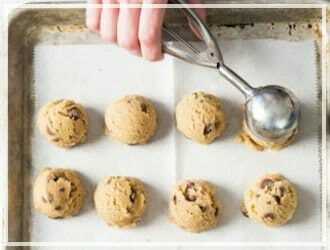 Or if you like, you can shape into patties, and layer them individually onto a parchment lined baking sheet and freeze. 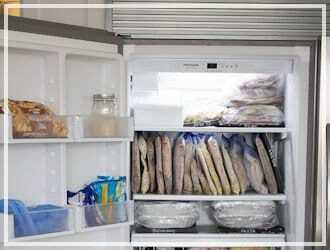 Then remove and add to a freezer safe gallon sized bag. Freezer Friendly Homemade Sausage Patties are perfect for a healthy breakfast and are so delicious! Combine all the seasonings and mix until well blended. 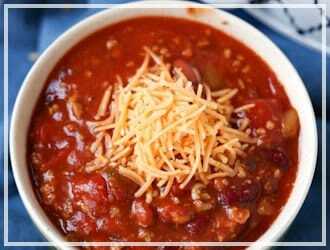 Add in ground meat, syrup and onion, using your hands to combine thoroughly. If cooking right away, shape into patties and cook over med-high heat on heavy skillet or griddle sprayed lightly with oil. Cook until nice and brown and no longer pink in the middle, a few minutes on each side. To shape patties you can either use your hands or do what I did. Take some meat and place between two layers of plastic wrap. With a rolling pin roll out meat to desired thickness. Remove top layer of plastic wrap. 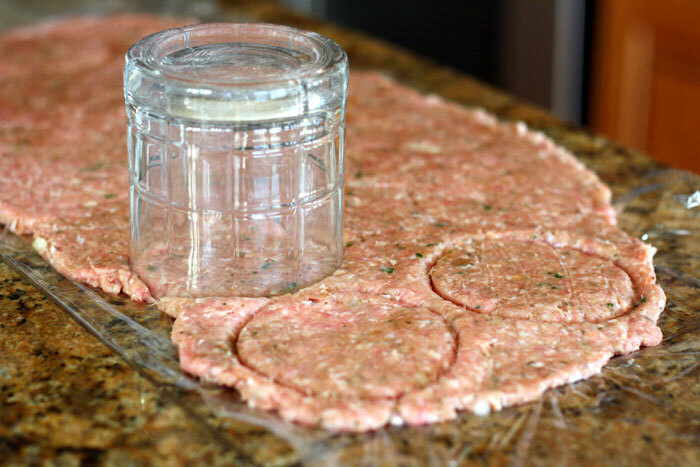 Take a round cookie cutter or top of a drinking glass, and press down to cut out nice round sausage patties. Transfer to hot griddle or baking sheet to be frozen. To Freeze: Shape and roll mixture into two logs about six inches long. Wrap in plastic wrap and freeze. To use, thaw and slice into patties with knife, then cook. Or if you like, you can shape into patties, and layer them individually onto a parchment lined baking sheet and freeze. 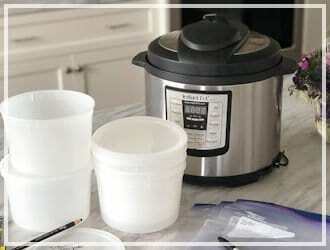 Then remove and add to a freezer safe gallon sized bag. 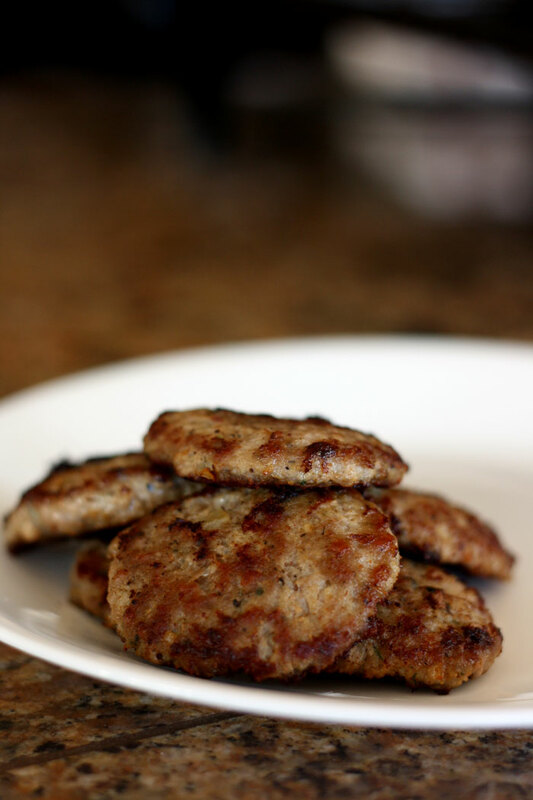 I hope you try making this breakfast homemade sausage patties recipe – it is so delicious! If you love freezer meals check out my huge list of Best Freezer meal recipes here. 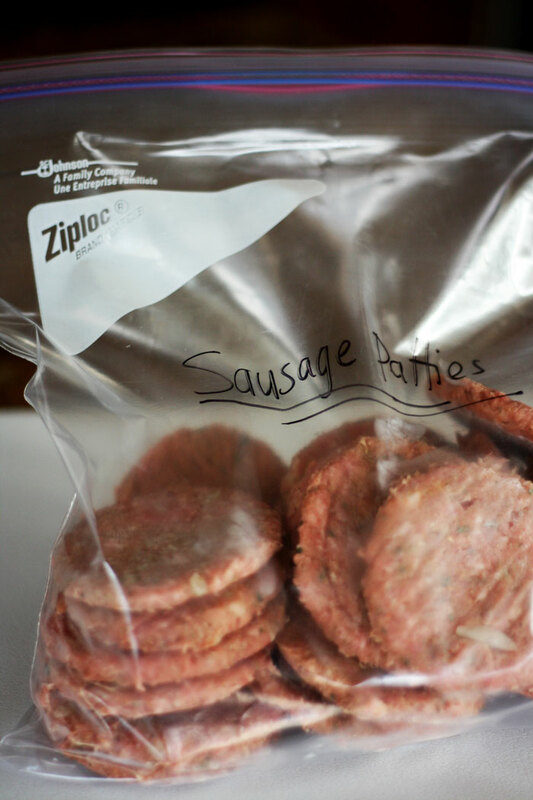 Can you cook the sausage patties and then freeze? 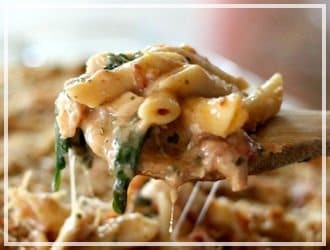 I was looking for sausage recipes online,and how to shape them at home when I came across your site.I really want to try it.They dont sell maple syrup where I am living at the moment.I do wish to add a bit of sweetness to the recipe when I try it.Could you give me more alternatives that I could try? We have never made sausages at home and this would be my first time.I am a little unsure of what I can use to make the recipe sweet and what quantity I can use it in.Your input would be much appreciated. Thank you in advance and take care.